The 2014-2015 colloquia committee focused on the following three types of events: those in which we share our own research; those in which we invite outside speakers whose work is related to the research interests of the department; and brown-bag professionalization workshops for graduate students. This talk explores tensions between strategies of protest and policy-making in environmental justice activism over time. It traces the history of three decades of environmental justice activism in California, with a focus on the growing engagement with the state through policy advocacy. Perkins places this slow shift in the form of environmental justice activism within the context of the professionalization of the non-profit sector and the shifting racial politics that accompany the continued growth of California’s majority people of color population. She uses theories of social movement channeling, color-blind racism and neoliberalism to shed light on the dilemmas faced by contemporary environmental justice advocates in their efforts to build a just, sustainable society. Tracy Perkins is a Ph.D. Candidate and Teaching Fellow in the Department of Sociology at the University of California, Santa Cruz. She specializes in environmental sociology and social movements and holds a M.S. in Community Development from the University of California, Davis. See more of her work at tracyperkins.org. This professionalization workshop will address the keys to writing a successful fellowship application -- including the Pre-Doctoral, Doctoral, and Post-Doctoral fellowships -- and tenure track job application. Flores will address the differences between these application processes and provide an overview of these processes. This session will consists of two parts: a presentation of the different application processes and an question and answer portion. If you are currently working on a fellowship application or a job application please bring in your questions for the question and answer portion. 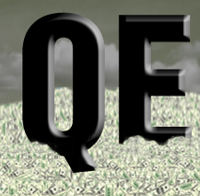 "Demystifying the NEW Field Statement Process"
Do you have questions about the new Qualifying Exam (QE) process that was implemented last year? Join Ruben Espinoza, as he presents on his experience of the new process, and Christie McCullen will provide an overview of the new process. Sociology students at all stages are encouraged to attend. 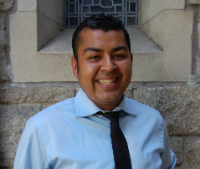 Ruben Espinoza is a 5th year graduate student in Sociology, with a designated emphasis in Latin American Latino Studies. His areas of research include labor studies, the sociology of work, migration and migrant workers, Latino sociology, and intersectionality. His dissertation focuses on workers in lettuce and salad processing factories across the Salinas Valley. He argues that their employment is made precarious through issues of race, gender, and class, even as they individually achieve socio-economic advancement. Ruben is the winner of the 2014 Lionel Cantú Memorial Award and is currently conducting field work. Contemplating between attending graduate school, getting established in the job market, completing an internship, or backpacking through Europe? Hear what it’s like in a day in the life of a grad student, what it’s like being a TA and how big of an influence faculty play in your academic career? Join current and former sociology students Andrea Lloyd (Behavioral Health Clinician), Tracy Perkins (UCSC Sociology Ph.D. Candidate), Danny Rodriguez (UCSC Oakes College Academic Advisor), and Jimiliz Valiente-Neighbours (UCSC Sociology Ph.D. 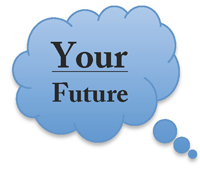 Candidate) as they share their experiences related to graduate school. Hear how they decided and how they prepared. Jerry Flores is a Ford Foundation Fellow, UC President's Post Doc (UCSF) and Assistant Professor of Criminal Justice in the Social Work program at the University of Washington-Tacoma. His research investigates how Latinas negotiate gender and violence in a California juvenile detention facility and in a continuation school that is connected to the facility. His research also shows how educational and penal institutions are coming together in new and dynamic ways. Finally, his work provides a microanalysis of Chicanas passing through the school-to-prison pipeline. His other research areas include ethnographic research methods, studies of race/ethnicity and issues dealing with institutional and interpersonal pharmaceutical abuse. New Religions come and go but some persist and become major global forces. In this presentation Professor Taylor presents evidence that, especially since Charles Darwin published On the Origin of Species in 1859, a new, global, earth religion has been rapidly spreading around the world. Whether it involves conventional religious beliefs in non- material divine beings, or is entirely naturalistic and involves no such beliefs, it considers nature to be sacred, imbued with intrinsic value, and worthy of reverent care. Those having affinity with such spirituality generally have strong feelings of belonging to nature, express kinship with non-human organisms, and understand the world to be deeply interconnected. In a recent book Taylor labeled such phenomena ‘dark green religion’, noting that its central ethical priority is to defend the earth’s biocultural diversity. 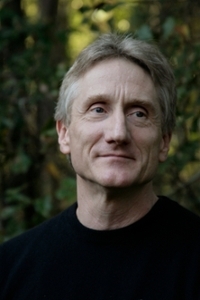 Taylor provides a wide variety of examples of new forms of religious (and religion-resembling) cultural innovation among those promoting such nature spirituality, from individuals (including artists, scientists, filmmakers, photographers, surfers, and environmental activists), to institutions (including museums, schools, and the United Nations). By tracking these, Taylor provides an opportunity to consider what such spirituality may portend for the religious and planetary future. Bron Taylor is Professor of Religion, Nature, and Environmental Ethics at the University of Florida, and a Carson Fellow of the Rachel Carson Center for Environment and Society in Munich Germany. His research involves both ethnographic and historical methods, and much of it focuses on grassroots environmental movements, their emotional, spiritual, and moral spiritual dimensions, and their environmental, cultural, and political impacts. He has been involved in a variety of international initiatives promoting the conservation of biological and cultural diversity. His books include Dark Green Religion: Nature Spirituality and the Planetary Future (2010), the award winning Encyclopedia of Religion and Nature (2005), Civil Society in the Age of Monitory Democracy (2013) and Ecological Resistance Movements: the Global Emergence of Radical and Popular Environmentalism (1995), and Avatar and Nature Spirituality (2013). He is also the founder of the International Society for the Study of Religion, Nature and Culture, and editor of its affiliated Journal for the Study of Religion, Nature and Culture. For more information see www.brontaylor.com. 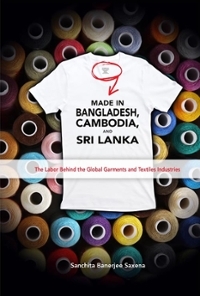 Join Sanchita Saxena as she discusses her new book, Made in Bangladesh, Cambodia, and Sri Lanka: The Labor Behind the Global Garments and Textiles Industries, which earned rave reviews from leading experts. It is essential reading for students and researchers in policy studies, labor studies, South and Southeast Asian studies, international trade, and political science, as well as those engaged in program design and evaluation of projects focused on labor rights. This study is critical for non-governmental organizations with a thematic focus on the garments and textiles industry, labor rights, human rights, and international trade policy, as well as for private sector organizations focused on improving labor conditions around the world. Prior to joining the Institute for South Asia Studies (ISAS) at UC Berkeley, Sanchita Banerjee Saxena was the assistant director of Economic Programs at the Asia Foundation, where she coauthored The Phase-Out of the Multi-Fiber Arrangement: Policy Options and Opportunities for Asia, served as a consultant to the Asia Foundation on various economic projects, and was a Public Policy Fellow at the Woodrow Wilson International Center for Scholars in Washington D.C. Saxena holds a PhD in political science from UCLA. 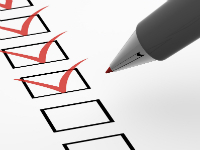 Graduate school requires balancing the needs of teaching, researching, publishing, conferencing, and grant writing. This workshop is designed to help you create an efficient and effective plan for the next school year. We will hear from Sociology Ph.D. candidates Yvonne Kwan, Claudia Lopez, and Tracy Perkins, who have learned to balance and prioritize these various tasks as well as developing time management strategies. Students will be introduced to a collective timeline that will include deadlines for departmental filings, grant applications, fellowship applications, conference paper submissions, and job applications. Last, but not least, we will hear job/post-doc report backs from two successful candidates! Please bring any timelines you currently utilize. Yvonne Kwan is a Ph.D. candidate in Sociology at UCSC and a Statistical Consultant for the Center for Statistical Analysis in the Social Sciences. She is an ASA Minority Fellowship Program Fellow and UC All Campus Consortium On Research for Diversity Dissertation Fellow. Her research on critical refugee studies, memory, affect, and trauma has been funded by the UC Center for New Racial Studies. Yvonne holds an M.A. in Education from the University of California, Los Angeles and was recently selected as a National Center for Institutional Diversity Emerging Diversity Scholar; she will begin her position as a postdoctoral fellow with the Dartmouth Society of Fellows in September 2015. Claudia Lopez is a Ph.D. candidate in Sociology, Feminist Studies, and Latin and Latin@ Studies at UCSC. Her dissertation explores urban resettlement of rural internally displaced persons in Medellín, Colombia. She is also interested in gender, migration, conflict-induced displacement, human rights, policy implementation, and the role of the state. Claudia is also a recipient of the SSRC's Dissertation Proposal Development Fellowship. 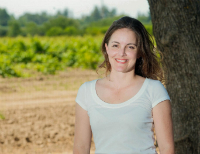 Tracy Perkins is a Ph.D. candidate in Sociology at UCSC specializing in social movements and environmental sociology through a focus on California environmental justice activism. Her current work analyzes the political evolution of California environmental justice activism since the 1980s. She publishes in traditional scholarly spaces and also uses photography and the digital humanities to share her work with the public. She has a M.S. in Community Development from the University of California, Davis, and expects to complete her Ph.D. in Sociology at the University of California, Santa Cruz. In the fall of 2015 she will begin a new position as an Assistant Professor of Sociology and Anthropology at Howard University. See more of her work at tracyperkins.org. From activism to ecology, alternative culture to industry, "sustainability," it seems, is everywhere. In the face of economic and environmental crisis, and unprecedented rates of urbanization, the term has become ubiquitous in policy circles and across many social domains. Yet this ubiquity presents us with competing and often contradictory meanings and applications, and can lead to conflicts over fundamental questions such as "sustainability of what and for whom?" This in turn poses challenges for sustainability scholarship, planning, policy, and practice. 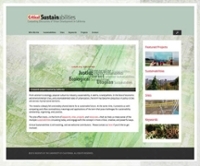 Critical Sustainabilities is a new website that aims to address these issues. It focus on iconic sustainability efforts in Northern California -- many of which have popularized the concept nationally and globally -- while exploring the multiple, often contested ways these efforts have made use of the term. It offers tools in the forms of "keywords" and "sites" to help grasp the histories and locations through which ideas about sustainability have been produced and become powerful. And it presents "projects" that explore these ideas through a creative and critical lens. Simon Sadler (UC Davis): "Keyword: Ecological Design" and "Site: Bateson Building"
Elsa Ramos (UCSC) "Keyword: Transit Oriented Development" and "Site: 16th and Mission BART Plaza"
Tracy Perkins (UCSC): "Site: Gonzales" and "Project: Voices from the Valley"
Kristin Miller (UCSC): "Keyword: Google Bus" and "Projects: Postcards from the Future"
Rachel Brahinsky (University of San Francisco): "Teaching Critical Sustainabilities"